Collard greens are various loose-leafed cultivarsof Brassica oleracea (Acephala Group), the same species as cabbage and broccoli. The plant is grown for its large, dark-colored, edible leaves and as a garden ornamental, mainly in Brazil, Portugal, the southern United States, many parts of Africa, Montenegro, Bosnia and Herzegovina, southern Croatia, Spain and in India. 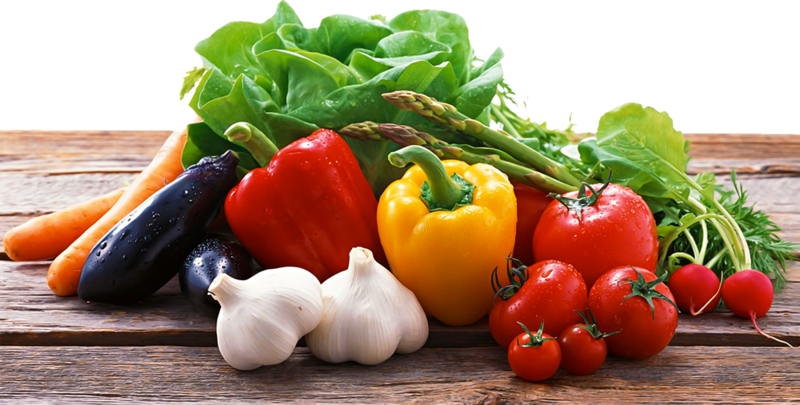 They are classified in the same cultivar group as kale and spring greens, to which they are genetically similar. The name "collard" is a corrupted form of the word "colewort" (cabbage plant). Widely considered to be a healthy food, collards are good sources of vitamin C and soluble fiber, and contain multiple nutrients with potent anticancer properties, such as diindolylmethane and sulforaphane. Roughly a quarter pound (approx. 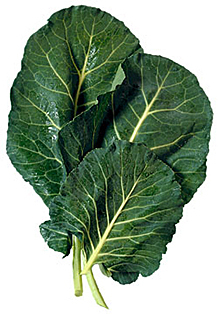 100 g) of cooked collards contains 46 Calories.